Tinder swiped right on a lawsuit against Bumble last week, but their lawsuit has more than just surface flaws. Tinder’s lawsuit alleges a number of forms of intellectual property violations—but basically, it comes down to claiming that they own the idea and the design of swiping, especially for a dating app. Of course, the idea of swiping (and even the word) isn’t new. It’s not even new in the context of a smartphone app. 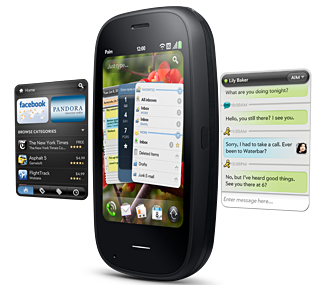 The iPhone was introduced in 2007 using the words “to go through pictures, I just swipe them.” And by 2009, Palm’s webOS used swiping on cards, including swiping cards away, in its multitasking interface. (Not to mention “swipe to unlock,” the focus of a number of lawsuits back in 2012.) All pre-date Tinder and Tinder’s patents. So it’s questionable whether Tinder came up with the idea in the first place, much less the word. But sometimes companies succeed with ideas they acquired elsewhere. So, what about their patents? The broken lines are illustrative and not part of the claim. The claimed design—the two cards—is shown only by the solid lines. When claiming an animation on a computer, applicants are supposed to provide a sequence of images showing the various states of the animation as well as some specific text in the specification. Tinder did neither, meaning that their patent doesn’t cover the animation of swiping at all—all it covers is the two particular arrangements of cards of the shape shown, where one relatively square card is diagonally overlying the other, rotating around an axis point above the screen. Other overlying arrangements of cards don’t qualify; only the ones they show. So, let’s take a look at the accused. Here’s what Bumble looks like. The cards are different shapes from those in the design patent, including the use of rounded corners rather than square corners and a more rectangular shape.3 And the cards rotate around a point below the screen, not above it. In other words, Bumble’s design has significant differences from the claimed design, differences that an ordinary observer faced with the app and the patent would notice. That’s not the only problem, though. Tinder’s arguments are a perfect example of Sarah Burstein’s “concept fallacy” in design patents—the idea that a design patent covers a general concept, rather than a specific design. Tinder wants to think their design patents cover the concept of a swipe interface in a dating app. But even if they’d actually filed a patent that showed an animation, as opposed to a static arrangement of screen elements, they still wouldn’t own the concept—they’d own the specific animation they’d claimed. This isn’t an unusual circumstance—Prof. Burstein regularly notes cases of plaintiffs engaging in this fallacy on her Twitter account. But just because the concept fallacy applies doesn’t mean that there isn’t a lawsuit that a defendant has to respond to. Just like with patent trolls, sometimes companies will settle despite the substantive flaws in an allegation, just to make the case go away. The application of design patents creates the same risks of chilling innovation as any other application of IP. We recognize this problem when it comes to utility patents; it’s time to recognize that design patents create real problems when over-broad enforcement is available.